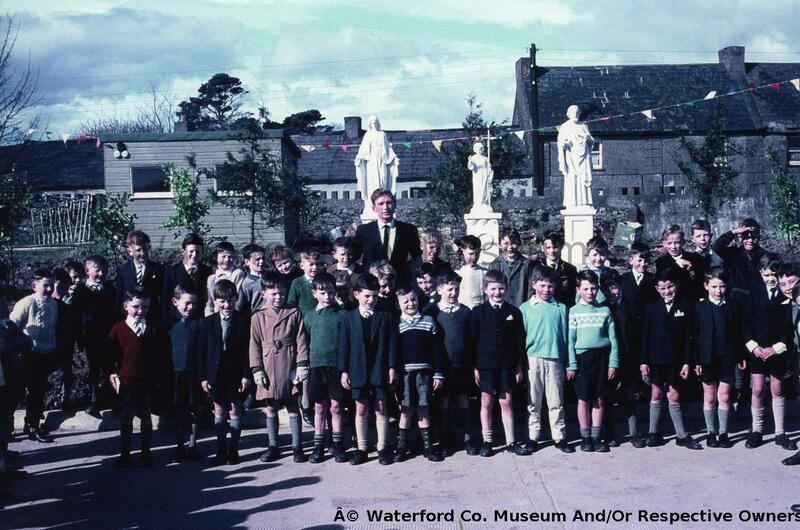 Dungarvan CBS Class In Playground; Opening Of New Primary School. Mr Phil Duggan (teacher), with his class in the playground of the Christian Brothers School, Dungarvan, with Rice's Street in the background. This is the occasion of the opening of the new Primary School.